Jack Kent Cooke Young Scholar Agata Bykovtsev, a high school freshman from California, traveled around the globe in 2013 to compete in two high-profile chess championships. In Pocos De Caldas, Brazil, at the Pan American Youth Chess Championship, Agata maneuvered her way through a 24-player bracket to capture the bronze medal. 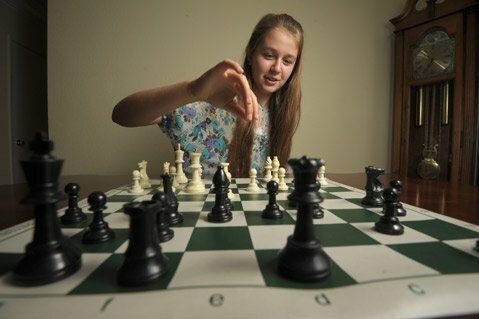 A few months later, her performance at the World Youth Chess Championships, hosted in the United Arab Emirates, was arguably more impressive, as Agata withstood a grueling 12-day tournament to log a ninth-place finish out of 126 participants from 63 countries, the highest finish for any American in the tournament. 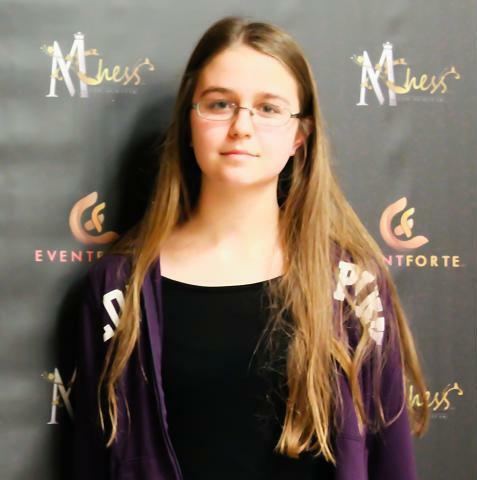 Later this summer, Agata will once again compete in the Pan American Youth Chess Championships in Mexico City. I have played chess competitively for the last five years. During this time, playing chess has taught me many valuable life lessons such as how to deal with peer pressure, how to use strategy in making critical decisions, how to keep a cool head under pressure, and, perhaps most importantly, how to lose and get back up again. To play strategically in chess means learning to see dozens of possible eventualities before they occur, to make long term plans in which you probe, discern, and exploit the weaknesses in your opponent’s position. Because these “tactical” and “strategic” approaches, I have learned to use these same methods of playing “strategically” and “tactically” in my personal life. I use strategy in making decisions and I set goals for myself that I then set out to achieve. The logic that chess instills in a player teaches us to avoid traps and to move forward towards our goal. One may lose pieces along the way and suffer losses, but eventually the destination comes into view. Chess and its method of retrograde analysis have not only taught me how to think and to calculate precisely, but they have also taught me a way to live. I understand, now, how to manage my time not only in chess but also in my daily life. Though I have suffered many losses, I have learned resilience: to improve at anything we must rise from the ashes and refocus on achieving our goals. Chess has given me the tools to set long range goals for myself and to accomplish them regardless of how hard they may seem. I am just setting out in life, but I have a strategy. I will never regret having spent my childhood in competitive chess. I will be able to say that my youth was invested in my future. Chess has taught me that every endgame is unique, and we should never try to make ours the same as anyone else’s. Agata’s mother, Rita, couldn’t be happier that her daughter is drawn to a hobby filled with “bright, multi-talented, and successful young people,” and she’s excited to imagine the future. “I have no doubts that all their paths will cross again in the future—perhaps at a science conference, in a surgery room, or at the NASA Flight Center.” While Agata’s chess path is still blossoming, we all agree that she’s choosing all the right moves.